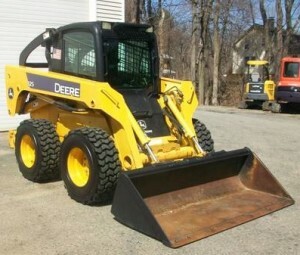 I’ve got Deere 325 model skid steer with only 1400 hours on it. It comes with Heat and A/C unit fully operational and good condition. As #1 manufacturer in the industry, this little machine has been serving me with low effort steering controls that are smooth and very responsive, and this is same for the boom and bucket functions as well. It has 75 HP turbo diesel with 2 speed travel control, hydraulic coupler and there is an extra counter-weight kit as a feature. 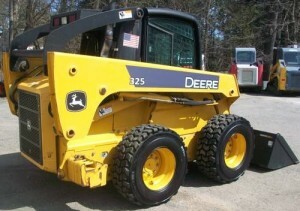 Bucket size is 78” and the vertical lift will be loading tri axels. Also I put new Lifemaster tires which were nominated for high quality/all year skid steer tires for all machines, and it is ready for the tough work!